I’m sure you can’t have missed it as you’ve journeyed in and out of school but we are thrilled to be able to tell you that our new Early Years Foundation Stage Outdoor Classroom is now finished and in full use by our new intake. 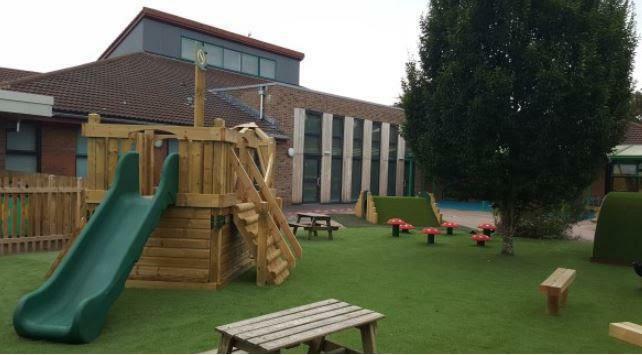 Complete with a stage, fixed musical instruments, climbing areas, underground homes, chalk boards and an easel, a climb-in sand tray and a story-telling toadstool circle; it is filled with activities for the children to take part in as well as initiating their own using the resources and equipment available. They have already been out having fun in it this week and are using it very sensibly as a classroom rather than a playground. 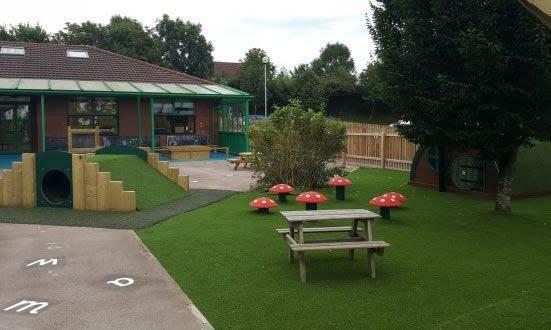 The astroturf will allow the space to be used all year round which, I’m sure you will agree, is a great addition to our Early Years’ provision and will provide many years of learning opportunities for children both now and in the future.